You're glowing! 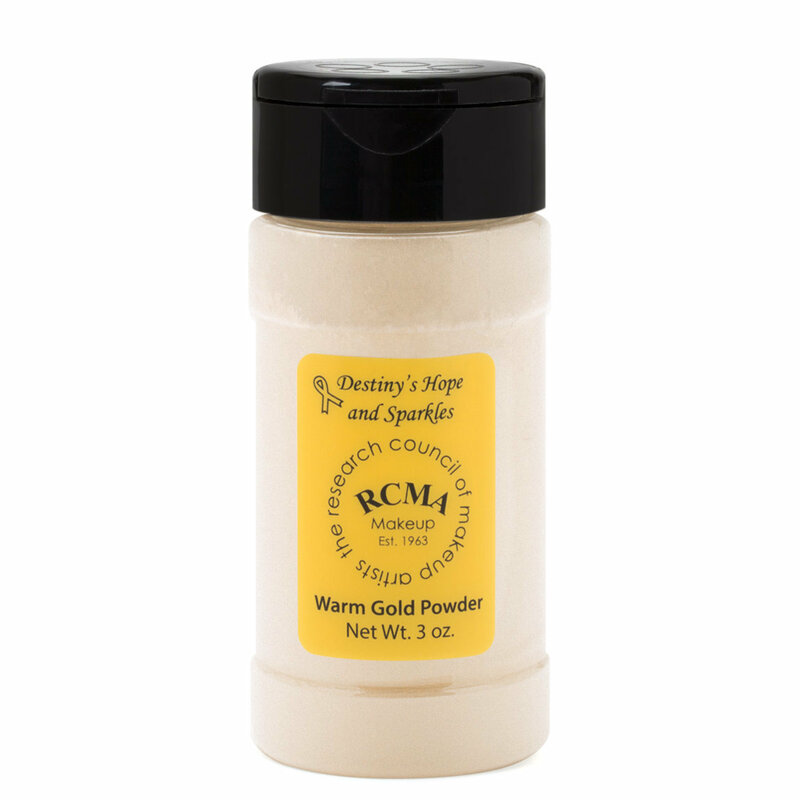 RCMA's Over Powder is the finishing touch to your look for adding the softest of sheen effects. This powder is gorgeous when layered over blush or any of the high points of the face, as well as for achieving an ethereal effect all over the body. Dust it onto collarbones, shoulders, cheekbones and the cupid's bow for a subtle light-catching highlight! So, I've been intrigued by this product for so long but put off purchasing it because there's almost no info about it online, and no one has reviewed it. I'll be the first! Okay, so this is (sort of?) marketed as a highlighting powder, but in my opinion it's both too subtle for that and too bold. Let me explain: the shimmer in this is VERY obvious, but it's not pigmented enough to be a "highlight". I tried to use it as a finishing powder (like the Hourglass ones) but it just looked like a bunch of little glitters scattered on my face. It's weird. I don't want to return it, because it's for a good cause. So the way I've found to use it is on my body. Beautylish doesn't sell it, but Sephora has this product called the Brazilian Bum Bum cream by a brand called Sol de Janeiro. That cream has shimmers in it. Dusting this product over lotion gives the exact same effect. So there's that. I don't know. guys. This is just a strange product. I tried to take a photo of it so you'd see what I mean, but I can't get it in good enough lighting. In any case, hope this review helps. TLDR: Use it on the body for shimmer, not on the face or as a normal "highlight". Doesn't work as a finishing powder. Shimmers are very obvious, which can be good or bad. Omgoodness :) $18.00 well spent! And a little goes to charity... Win/Win! The product itself is nice, it has some visible shimmer to it, so if you don't like that this would not work for you. But, the shimmer is not glitter, or in my opinion over whelming. However I know some people do not like any shimmer, so I thought I would mention it. Overall I am very happy with this $18.00 purchase, and the Beautylish shipping is Awesome! So if you purchase this, imagining a soft, diffused glow, that's not what this is. It's RCMA's nice powder formula (in what I'd call a "warm translucent" with some tiny flecks of very pretty gold in it. I have used my Wayne Goss whisper-light highlighter brush and used it as if a highlighter and it was nice, but I can also see using it on the body for a warm twinkle.